Firstly I'll start with an apology for the lack of posting this week. Unfortunately I've gone down with this bug again for the 2nd time in 3 weeks! Just what I need in the run up to my AS Level January exams, but that's life I suppose! Well, what a year for the blog. At the time of writing this little corner of the internet has received 41'000 views since I started about 3 1/2 years ago. Remarkably though, over half of these total views have been within this year alone. The numbers have been steadily rising throughout the year, peaking at 2'830 last month. Of course this is largely thanks to the constant support many of the transport blogs have received from DBG at Plymothian Transit, so I'd like to again publicly thank him for the success he has spread to us. Now lets try and sum up the year a bit. I'm going to to list each month, and give a short extract from my favourite or most interesting post from the 254 posts I have for some strange reason, spent my time writing this year! And this time comes the turn of the G-TWSs. These started life with Badgerline in Bristol and worked many of the routes in the area for many years, into the First Group era. 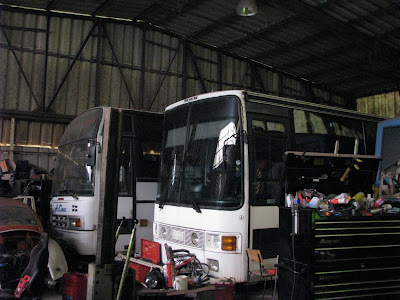 With thanks to a friend I can bring you this photo of the sole Plaxton Primo with First Devon and Cornwall. 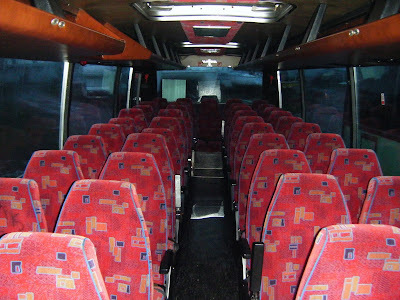 This bus was used as a demo in its early life until Truronian bought it to use on their services. I was very lucky today in the fact that while waiting for my bus home this came along! My first spot of one of these '09' reg Enviros in service and I must admit they do stand out on the streets of Plymouth. Here she is 913 DTT, making it all the way to 50 years old. This weekend Terry Bennett joined with many other local enthusiasts to celebrate this momentous occasion with a trip on her old haunts around along the Devon coastal roads. Enterprise Boat's Ex Stagecoach Leyland Olympian, K660 UNH. Of course this has replaced the beloved Bristol VR on the route between Truro and Malpas. Well maybe I was slightly mad going from Cornwall to Ilfracombe and back in a day. I never really imagined it would take as long as it did! I heard a very interesting comment that Cremyll Cabs/Coaches were at one point looking to buy the AEC for use on a Whitsand Bay tour type service along the twisting roads of the Rame Peninsula. "Another K reg Lives on"
With thanks to Matt McWheeney I can bring you this photo the 2nd PCB Dart that has made it to Halifax, this being K110 SFJ. Of course unlike L126 which had only recently been withdrawn, K110 has been out of action for a while now. Now I must admit, this one is quite a beast! 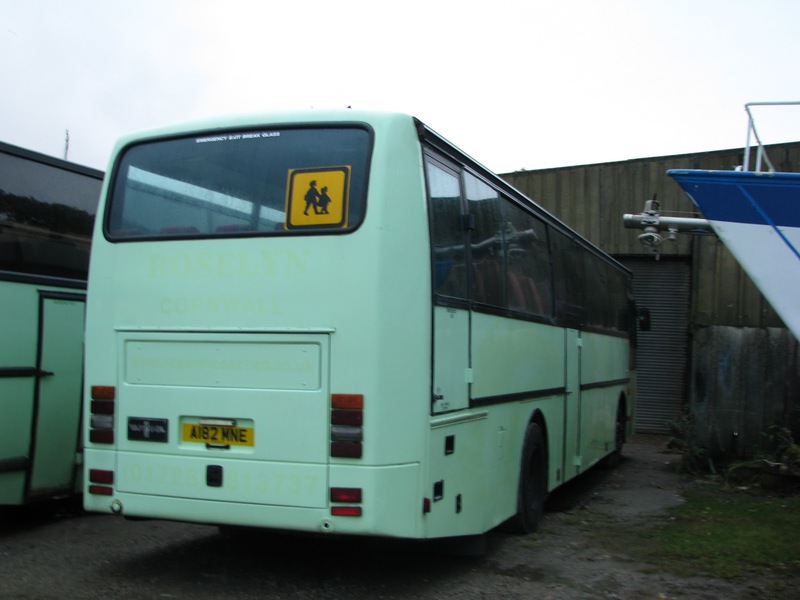 Behind this modern looking Van Hool bodywork is in fact A182 MNE, a 1984 Volvo B10M! The first of the new buses to join A-Line Travel Coaches this week was this Marshall bodied Iveco 59.12. So that's it from me for this year. Thank you all very much for your continued support over the year, and I look forward to writing more informative posts over 2011! Well its a Merry Christmas today from PTOTPA. Thanks for all your support during the year, this being the blog's most sucessful yet. But I'll review that nearer the end of the year. Hope you all have a great Christmas! For now bask in the glory of R651 YCR, trudging through snow against all odds! A Christmas treat for Cremyll passengers! Well lets have a change from buses, and instead a post on the Cremyll Ferry! Northern Belle has now returned to operation after her annual refit. This year it has seemed particularly quick, and Northern is looking spectacular again, ready for another season of hard graft. 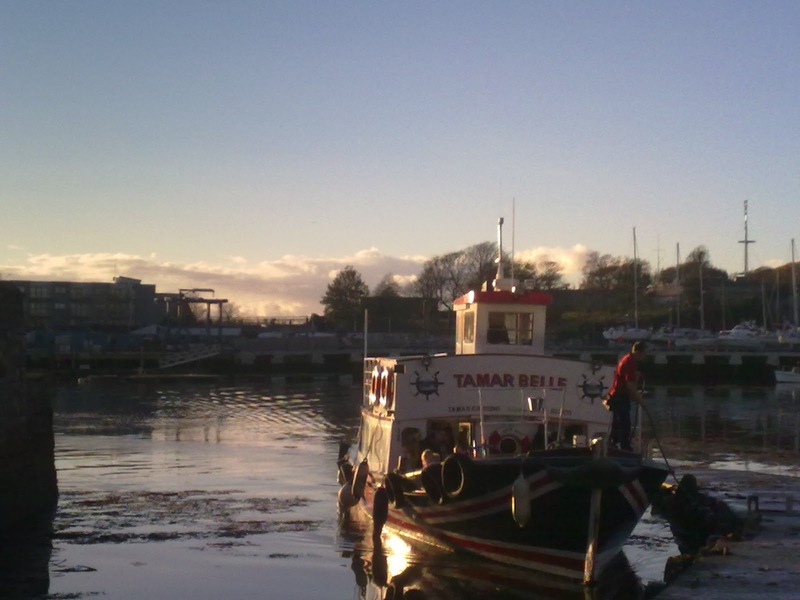 Its always a momentous day when the Northern returns to work, you get that little warm feeling, which is felt by all passengers, when you know your back in the hands of the best boat. A very pleasing addition to the Northern has come up on this refit. For many years we have 'suffered' in the cold while on-board Northern, due to the lack of heaters, combined with the temperature being radiated from the cold water surrounding the hull. Well this year, she has been fitted with heaters! Though this may seem small and insignificant, I'm quite frankly over the moon with it. Finally no more cold winter mornings crossings, it's just going to make my life that bit more pleasant. Well done Tamar Cruising! Well firstly I shall say I have been reliably informed that there is a Plymouth Citybus Dennis Dart out there, running around with the new logos applied to it. After a Mr Sheppard gave me the tip off I went hot on the heels of this mystery Dart, but unfortunately had no luck with finding it, so keep your eyes peeled for it in the near future! Right well where to start. Plymouth chucked up some interesting workings today. Starting with FDC, no less than 3 Leyland Olympians were out and about today, these being K615, K616 and K619 LAE. As luck would have it, all three were in Bretonside at one point, and allowed me to get this photo of the trio basking in the winter sunlight! Warms the cockles to think these have survived all these years never separated! That was about it from FDC, so onto Plymouth Citybus, there was a good mix of step entrance Darts out today, but no particularly interesting workings, other than L116 YOD escaping onto the 16 at one point. The rest were on the usual 46/47s and on the 152, so we won't dwell. I bumped into Mike Hudson who was out on the 23/4s today around Mount Gould. Of course usually these are operated with Dennis Dart MPDs, which Mike originally had out, but as luck may have it, he was forced to have a bus change, and all that was left, was a Mercedes 709! I can't say I've seen a 709 on the Mount Gould runs any time recently, so was good to see N284 PDV out playing her trade. No one particularly struggled with the steps, and she gave a, should I say thrilling, ride on the 24. I must admit, Mike is a very skilled driver, and really enabled me to see what she can do in the hands of a decent driver! Great work! 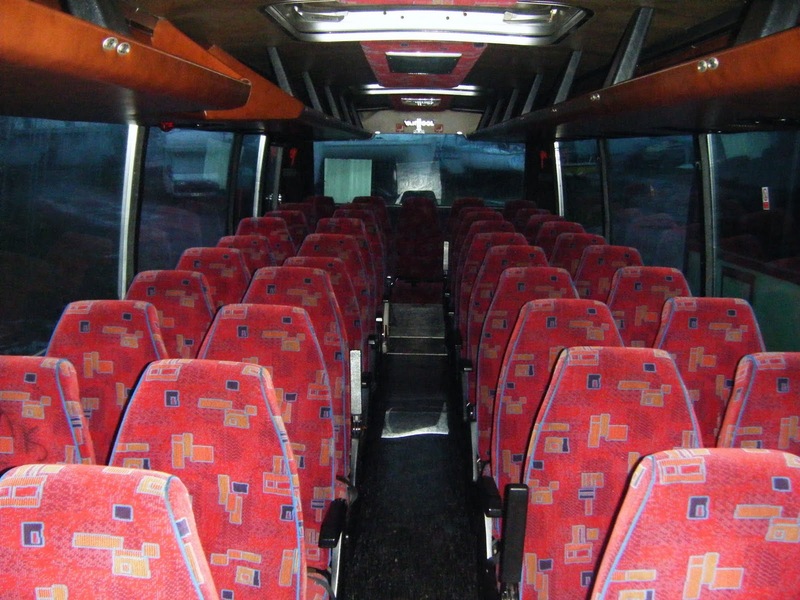 And onto the last, but by no means least, in fact quite the opposite was amazing a Volvo B10M Citybus! Yes that's right, G615 OTV had miraculously escaped into service today. I haven't seen a Volvo out in service for a considerable amount of time, and to find her on a core service, used to Enviro 200s was quite a shock. Its true, she is a bit rough round the edges, and the passengers certainly seemed to make a point of that, but what a dream G615 is. I've never been on her until today, but this is a really really good example of a decent Citybus. Dare I say it, better than FDC's D-GHYs and E-BTAs. The gearbox made some lovely noises, and the engine still pulled really well. 34 is getting a bit of a reputation for regularly being 15 minutes late, I experience this first hand, but G615 managed to stay fairly close to the timetable, only running between 4 and 8 minutes late, when noted throughout the day. As silly as it sounds, though the physical movement of boarding the bus is longer, having the central pole separating the flow of passengers on and off the bus actually really speeds things up at busy points of the route. I shall leave you with the photos for now, but I shall get back with some videos of both Mike driving, and of the G reg in the near future. In the face of defeat, A-Line Coaches was the only company left running today on the Rame Peninsula. 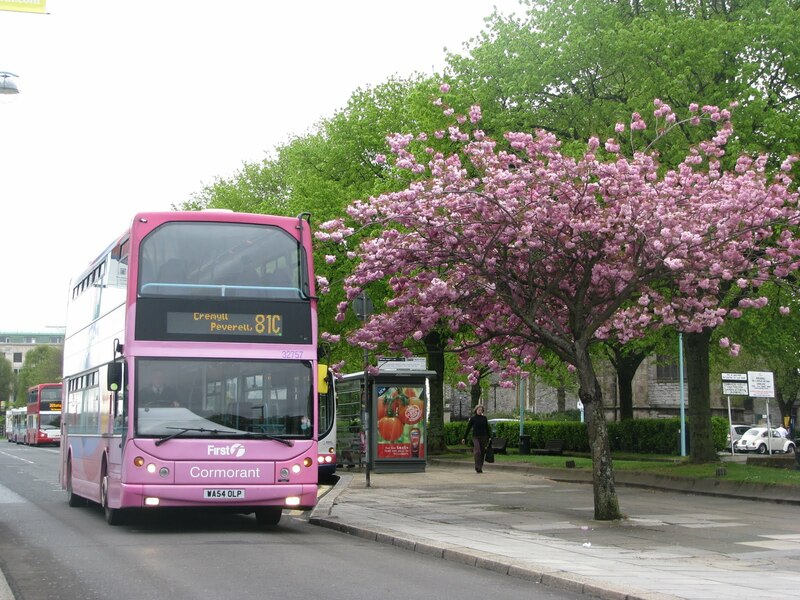 We haven't enjoyed a bus service since Saturday afternoon when FDC pulled out understandably, after the driver simply could not get any further! Sunday saw no running, and Monday the same. Tuesday has seen a test bus on the road in the form of 32762, but again, nothing has come of that after a crash earlier on today. A-Line didn't make it into service yesterday, simply because the bus couldn't make it out of the steep, untreated roads from St John, but forward thinking manager, Jim Goodard moved the bus up to a more main road, which meant the bus was available for service this morning! All services were run today, though as conditions in Cawsand worsened, Jim sensibly backed off and moved the terminus to Cawsand Scout Hut, rather than going down into the village to terminate. 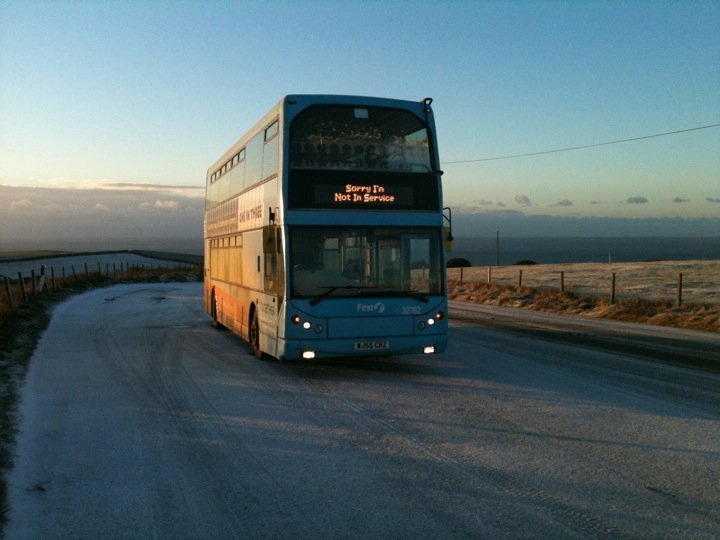 The photo above shows the normal terminus at Cawsand Triangle, covered with ice. The video I shall upload at a later date shows R651 YCR, with driver Steve Leigh negotiating the roads via Anderton from Cremyll to Millbrook. 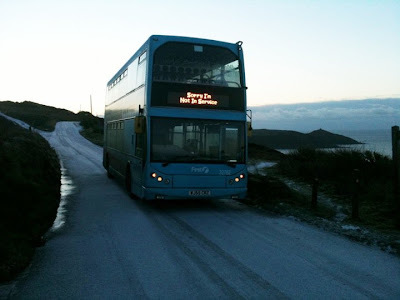 These were very icy and you will notice the bus simply sliding into the hedge, with no control. Steve skilfully negotiated this though, along with the various other obstacles on route. 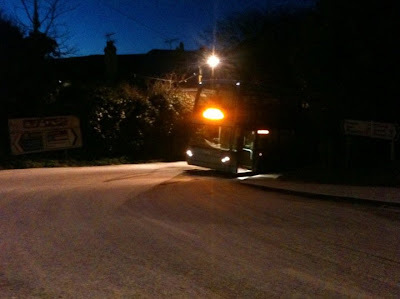 This video shows Steve pulling away from the temporary terminus at the Scout Hut, where again the ice was very apparent, where you can clearly see the wheels spinning on the ice. Cuffy also wanted me to post this new advert that he has produced for the company which I must admit is really smart, and of a high quality. It will appear in a local magazine soon to drum up some more business for the Private Hire section of the company which Derrick now operates. 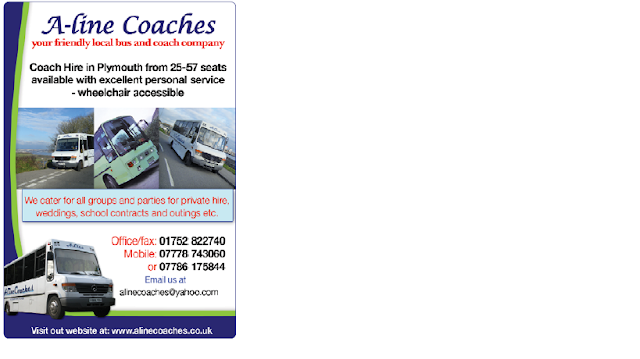 Please do visit www.alinecoaches.com if you haven't done so already, Cuffy regularly updates the site so is well worth a visit. Right well here come all my amazing interesting photos of the snow scenes in Plymouth. Ah wait! I haven't had a bus service since Saturday! The last service ran Saturday evening. The photos I have gained with thanks to the driver show 32762 at the point at which it could get no further at Coombe End surgery on the hill. 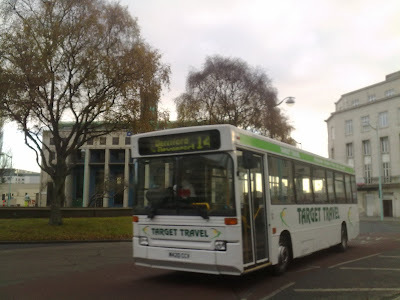 He therefore had no choice but to reverse the Trident for some half a mile all the way back to Cawsand Triangle where he could turn in the bus bay, and then run out of service back to Trevol Road. 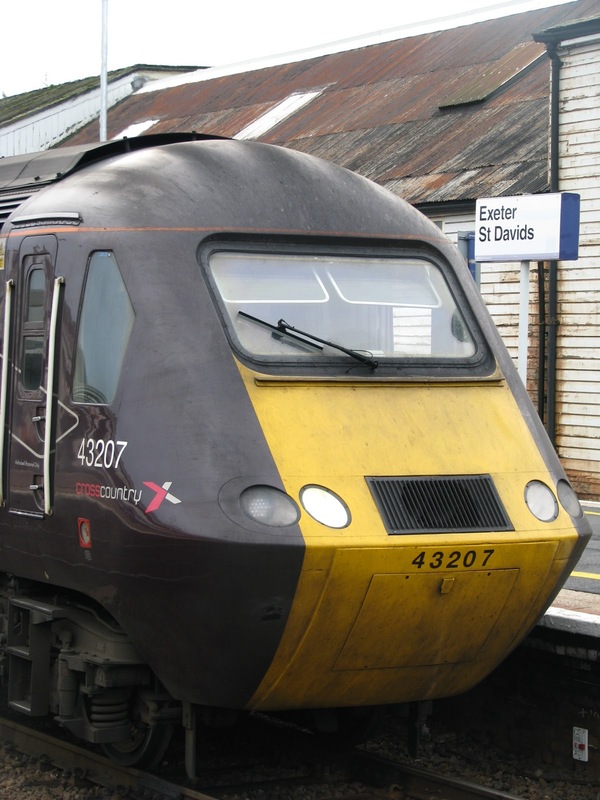 Since then not even A-Line have been able to serve the Rame Peninsula. May I add that A-Line were the first to concede defeat this morning, and the first in the area to let their customers know they would not be running today at 05:49 this morning! I do hope to get out and about tomorrow if the weather allows me to, but we have seen a valient effort by all bus companies to sustain a service in these conditions, so well done! So I shall leave you with photos thanks to Jamie and Tom Pearce. The past few weeks have been very good in terms of amounts of step entrance Dennis Darts on the roads of Plymouth. As Plymothian Transit reported in the week the old face of M420 CCV has returned to the streets of Plymouth under new ownership. Of course the bus previously worked for FDC, but was new to Western National in 1995 as a batch of 19. I really don't know how M420 has managed to escape the axe so many times, but here she is today! M420 was one of the last few step entrance Darts FDC ran alongside some slightly later P reg examples right up until last year. 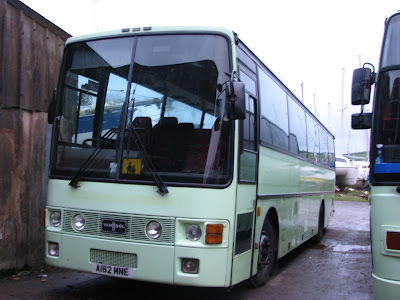 M420 I believe was then bought by Plymouth Argyle but then was subsequently sold to Target Travel. Today she has been tidied up, and placed into service. Strangely its haunt seems to be the 14, which is usually Solo operated. This could be because of the extra capacity needed for certain school journeys on the 14, and therefore the bus simply stays on the route all day, with one of the '14' liveried Solos operating the other service. Really good to see it still going into the new decade though. There seemed to be a shortage of SLF/Citaros yesterday. Never seen so many Step Darts and Mercs out for a long time. Indeed today I spotted L123 YOD out on the 34, replacing the usual Enviro 200. Really good to see, as we draw even closer to the end of the Step Darts. With thanks to Darren Hewitt I can bring you this photo of K103 SFJ in her present condition. It was only a few weeks ago I posted an old photo I found that I took on my way home from school back in 2006 of her operating on the 26. Of course its very rare to see a step Dart on the route today ( thought ironically M131 HOD did operate the route for some of yesterday) so it did bring back some fond memories. But now this is the end of the road for K103 after the canabalising of the Darts continues under Go-Ahead operation. Luckily though, as Plymothian Transit has shown, more and more are continuing to escape into further operation with the latest being L118 YOD to Exelabus. 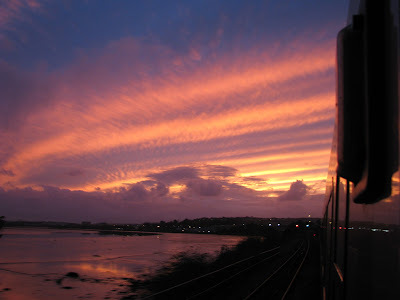 Thanks to DBG at Plymothian Transit for reminding me about this one. 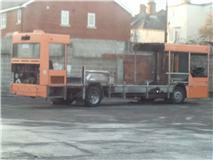 As he says Dennis Dart (L112 YOD) has had a makeover and become low floor. No sorry, they haven't actually converted L112 YOD to low floor, the stickers have now been placed upon Y645 NYD (45) which was previously identified as 'Pippi' - Dennis Dart's best friend. Unfortunately L112 suffered gearbox failure last week, though it was hoped that a gearbox be be salvaged from K103 SFJ, but we will have to see the result of this. Plymouth Citybus has now started refurbishing some Volvo B7s from Wilts and Dorset as well as the Blue Triangle Darts for London. The B7s are used on the 'More' branded routes around the Poole/Bournemouth/Christchurch area and were bought new for the services in 2004. This is surprisingly their first full refurbishment since they were first put into service. Transdev, the main rival in the towns, have been innovating the fleet regularly including a delivery of luxury Optare Tempos. The first one has now been rubbed down and ready for a repaint with HF54 HHD awaiting her turn, alongside the Blue Triangle Darts. Olympians have been in abundance today around Plymouth with no less than 3 examples on offer, on 3 different routes! 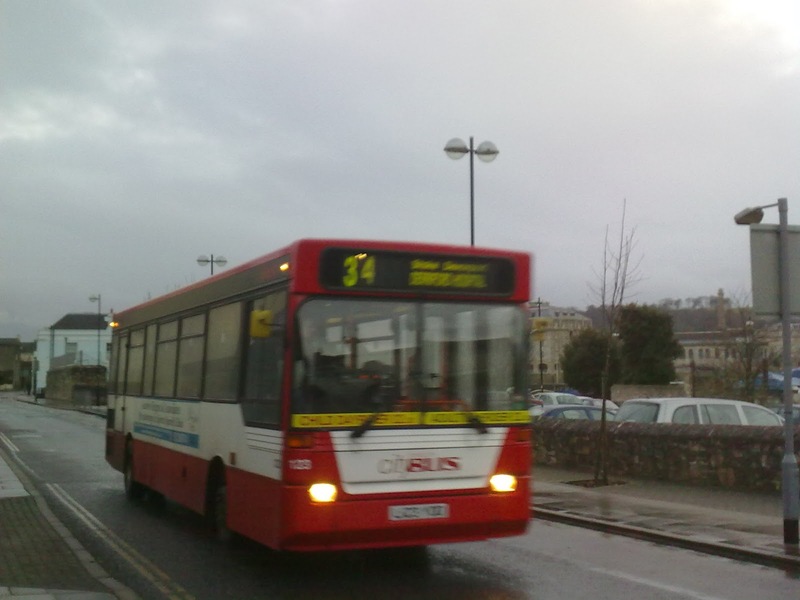 Its not uncommon to see at least 1 if not 2 on the Tavistock routes on any given day though. Firstly the duo of Olympians on the Tavi routes today were Torpoint's K804 ORL which had escaped today, likely after some maintainence in Plymouth. The other Olympian seen on the Tavi routes today was the 'usual' K614 LAE which is commonly seen on the Tavi routes alongside Tridents and B6s. Another example of the K-LAE batch was K615 LAE! Unfortuately the blind was not captured, but I had a very pleasureable trip onboard 615, suprisingly on the 15 to Mainstone! One of the duties is booked to be a double decker, though this is usually covered by a W reg Trident rather than a K reg Olympian, which was a shock for me, and passengers aboard the service alike. Lastly was K619 LAE which is not so commonly seen around the city. She was out operating on the 3, and then later switched onto the 6. K803 ORL was also out, on the usual round of 81/As. Really great to see some decent quality vehicles running brilliantly today!